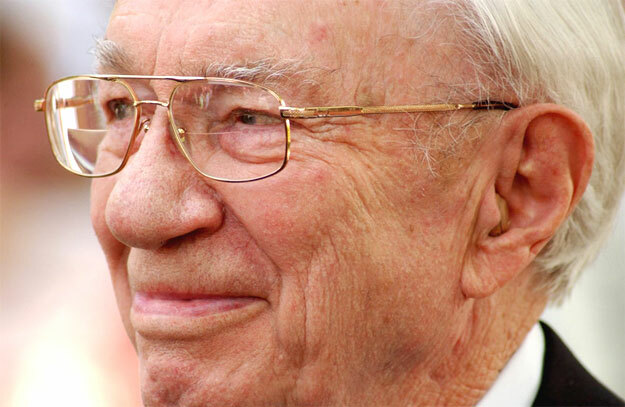 The most remarkable temple builder who has ever lived passed away this evening at the age of 97 – the Prophet of God on earth, President of The Church of Jesus Christ of Latter-day Saints, and our beloved friend and exemplar, Gordon Bitner Hinckley. In the 165 years before he was called to the office of president and prophet of the Church 47 temples to God were erected on the earth. During President Hinckley’s 13 years as God’s anointed servant, 77 temples were built up to our Lord and Savior, Jesus Christ. 124 temples are now operating around the world, with another 13 temples under construction or announced, nearly tripling the number that existed previously. From an average of constructing a temple every 3.5 years, President Hinckley produced a near 21 fold increase in the rate to every 2 months! In the year 2000 alone, 34 temples were dedicated and given the exalted and holy status of the House of the Lord. During his lifetime he dedicated 85 temples, more than any other man who has ever lived. We might even say that President Hinckley has done more, save Jesus and Joseph Smith only, for the salvation of men in this world, than any other man that ever lived in it, by extending the saving blessings and ordinances of the temple to countless millions of God’s children around the world (see D&C 135:3). Other members believe similarly. Many others have also prophesied of the time when temples would “dot the earth.” President Hinckley saw that era and gave us the realization of that prophecy and vision. Glory be to God for the inspired work of this remarkable man of God! Indeed, we thank thee, O God, for a prophet! Let it be known to all nations, kindreds, tongues and people that Gordon B. Hinckley was a chosen prophet of God, that he spoke the word of the Lord, and was a first hand witness of the Savior Jesus Christ! He was God’s prophet, seer, and revelator on the earth. He set in motion the accelerated building up of the most sacred spaces on earth, the holy temples of the Lord, in the most spectacular way this world has ever seen, and in them the saints have worshiped God and performed saving gospel ordinances in and to His name. The world will forever remember the legacy of our beloved prophet, Gordon B. Hinckley! Hear the testimony of the prophet of God.